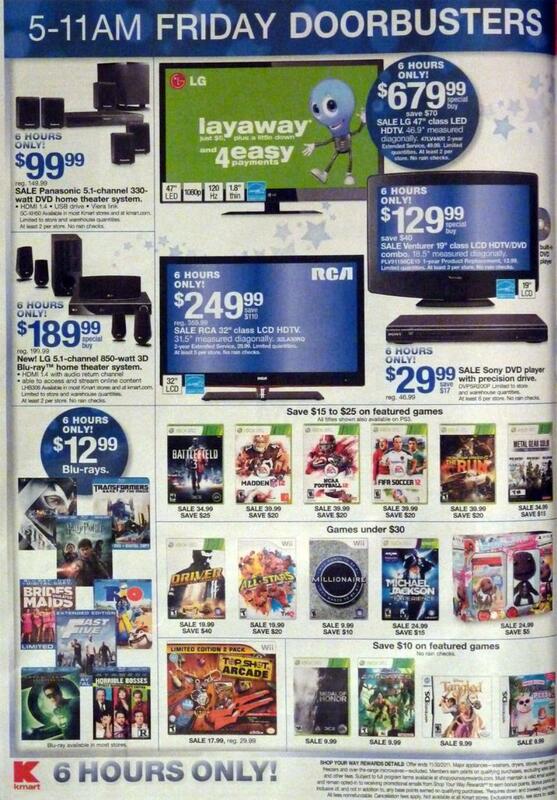 As I have been saying, there are a few companies have managed to stand out from the rest in regards to their Black Friday deals, and the others are always playing catchup. I have already posted the WalMart Black Friday 2011 ad, the Best Buy Black Friday 2011 deals, and even the BJs Black Friday 2011 ad. 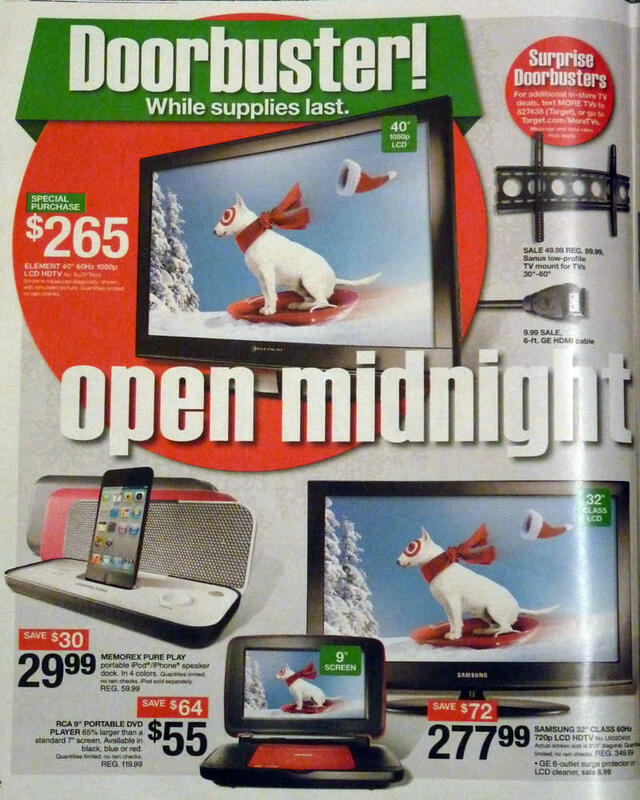 Now it’s time to post another powerhouse…Target. 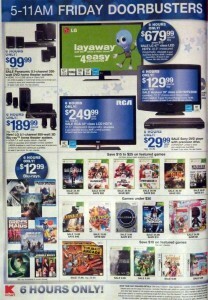 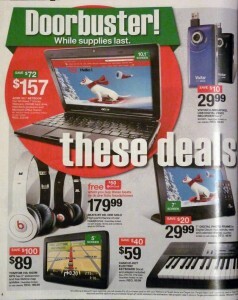 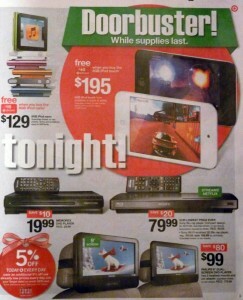 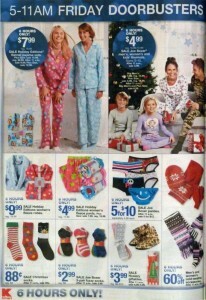 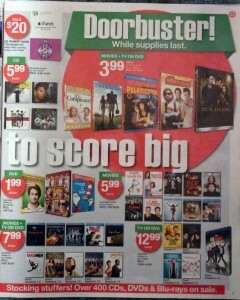 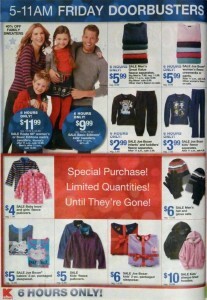 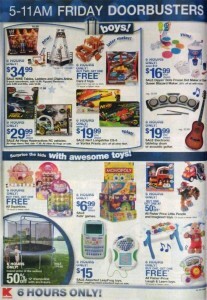 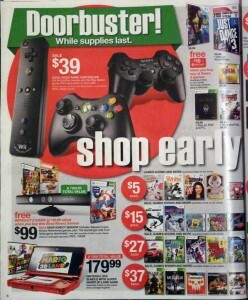 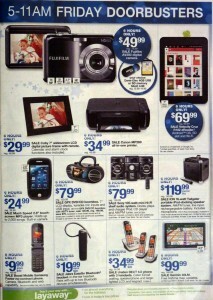 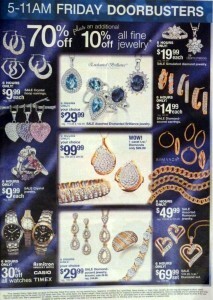 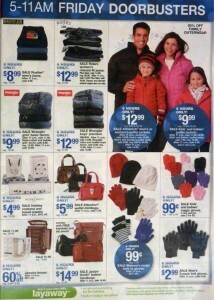 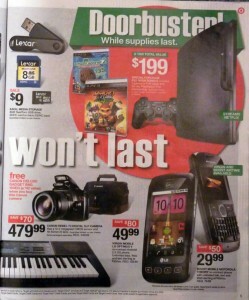 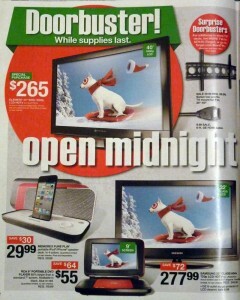 The Target Black Friday 2011 ad is 32 pages full of great deals. 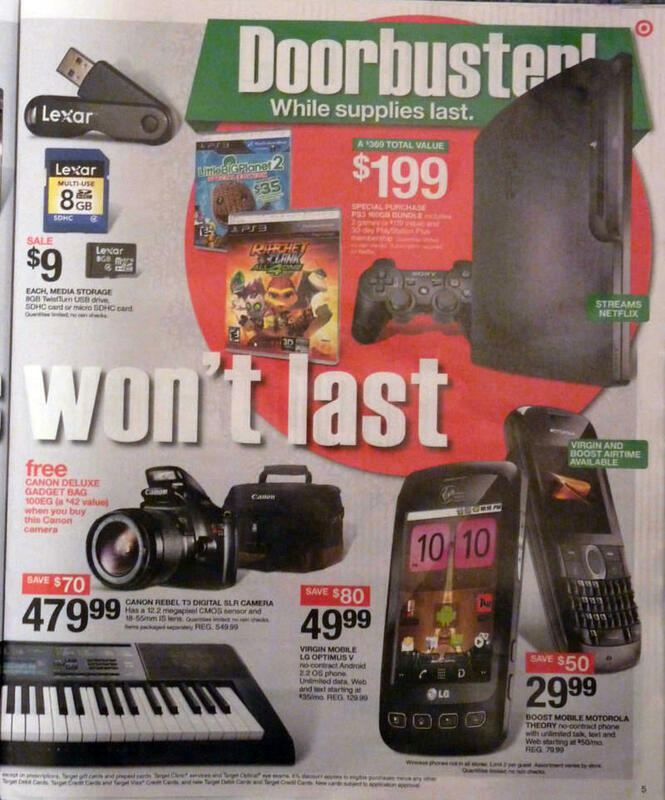 As with all of the huge department stores, there are some amazing deals on various electronics, household goods, video game consoles, DVDs and Blu-Ray discs, clothing, toys, and even musical instruments! 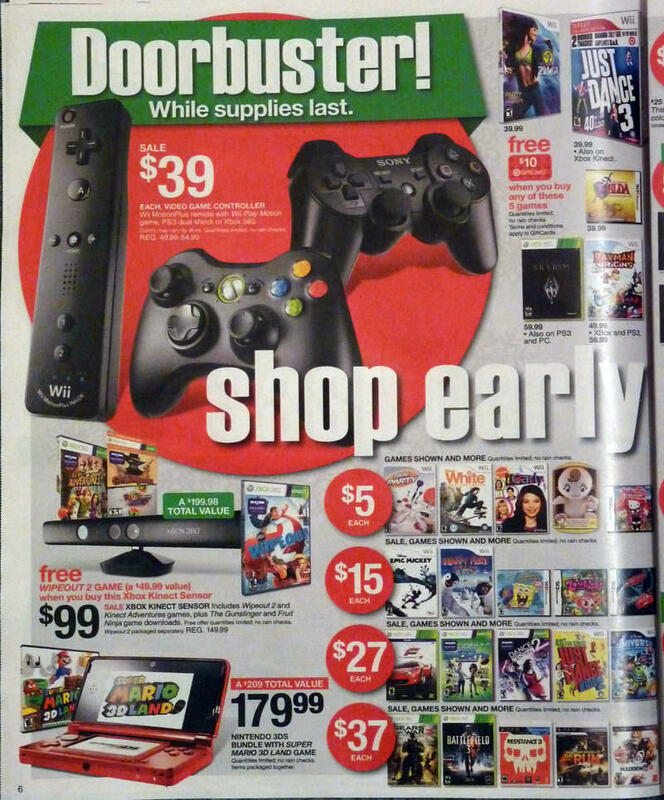 Because the Target Black Friday 2011 ad scan is 32 pages long, I have decided to put it on 4 pages (be sure to look at all of the pages). 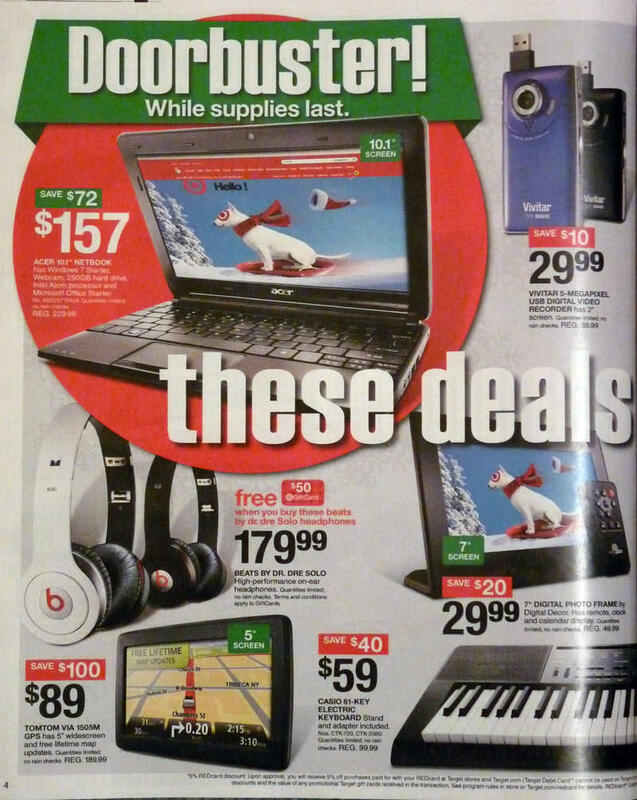 Just click on a photo in order to enlarge it. 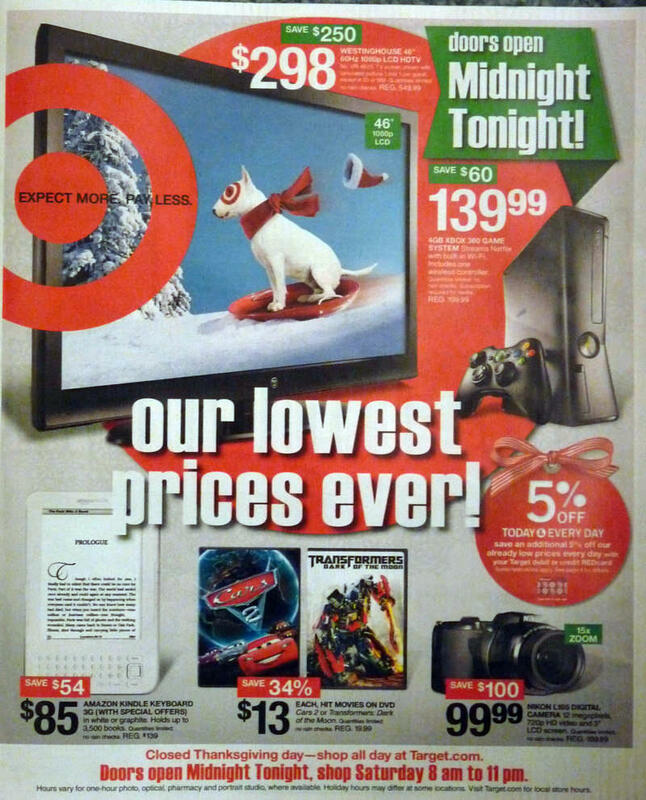 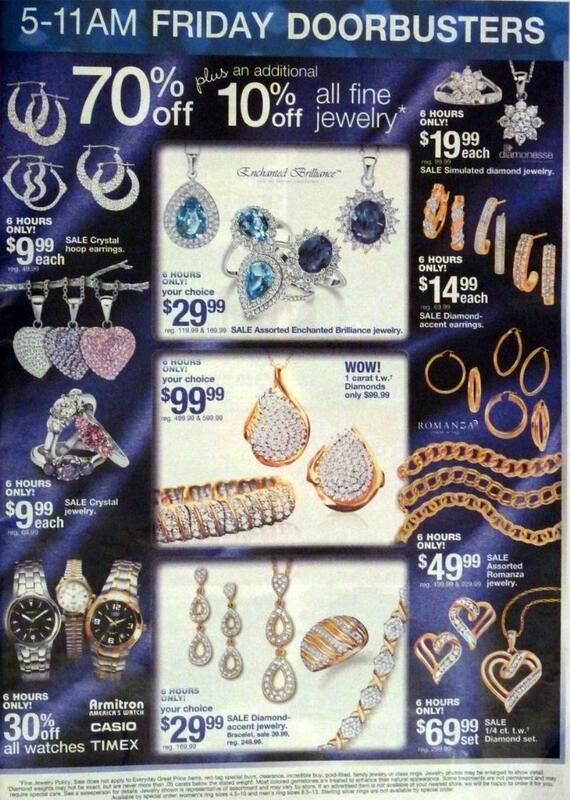 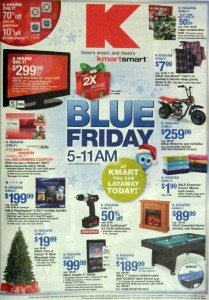 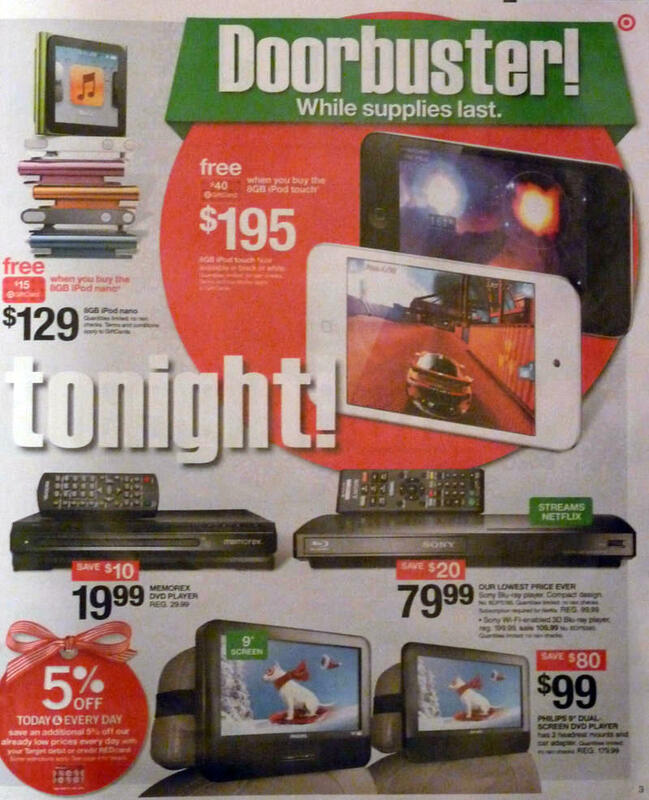 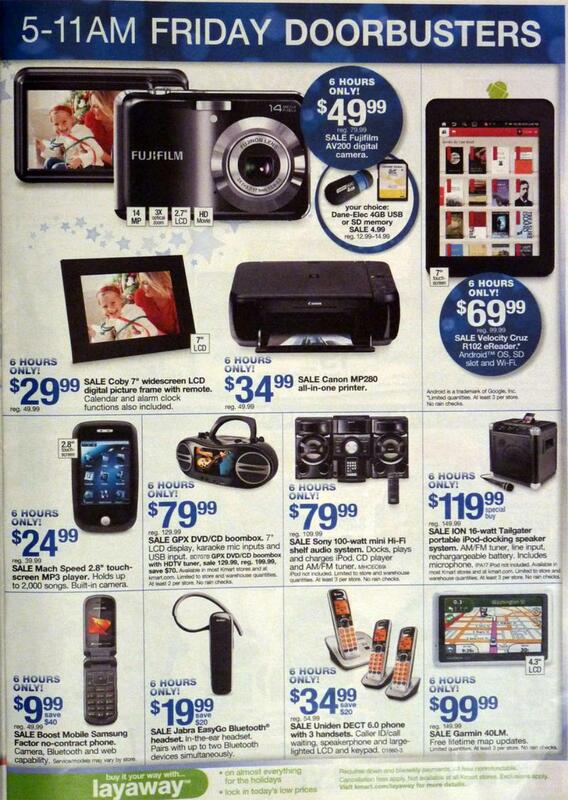 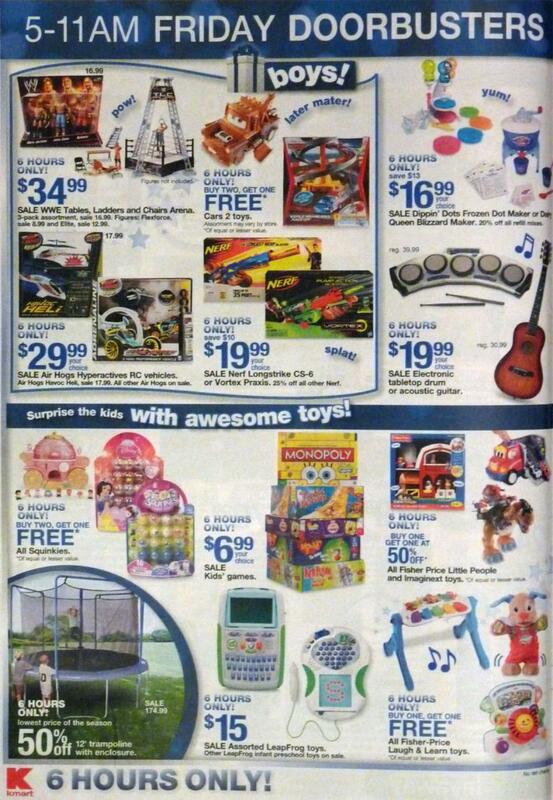 This is page 1 of the Target Black Friday ad scan…be sure to check out pages 2, 3 & 4!